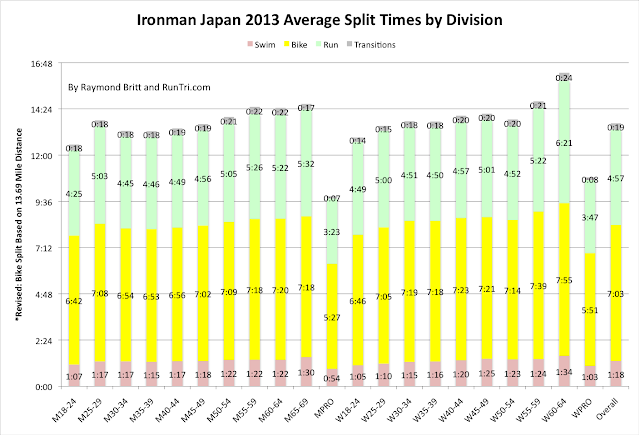 After being absent from the Ironman triathlon circuits since 2009, the new Ironman Japan 2013 kicked off the World Triathlon Corporation's 2013-2014 season in grand fashion. It was not an easy race: Of the more than 1500 athletes who registered for the event, 12% did not start, a relatively high 10% did not finish, and 1,239 finished within 17 hours (the 2009 race had a 15 hour limit). The average finish time was a decidedly slow 13 hours and 39 minutes, compared with an average Ironman race finish time of 12:35, making it one of the tougher Ironman Courses in the World. 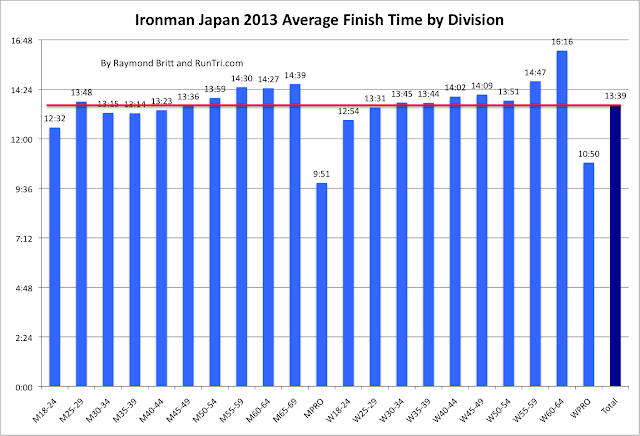 Compared to most other Ironman events, the swim split was average. 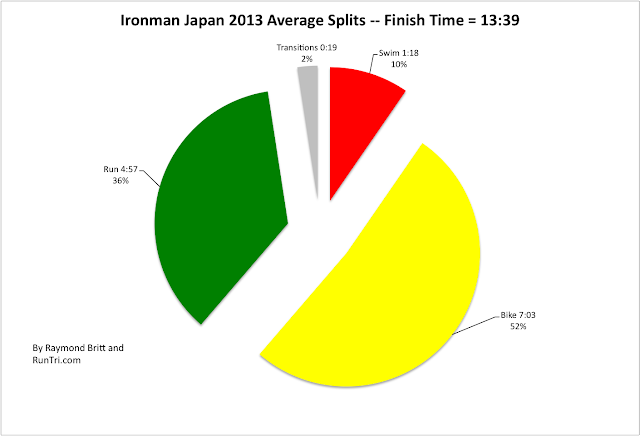 The bike course presented the greatest challenge, with an average bike split of an exceptionally rare 7 hour split, accounting for 52% of the average finisher's race. Somehow, most finishers held enough in reserve to run a reasonably fast 4:57 run split. 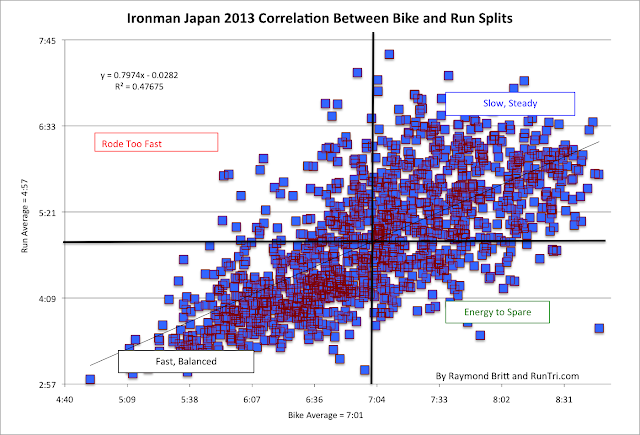 We've sliced and diced the results, presented below: overall, by split, by age group, and by correlation between bike and run split. For further comparison, look at our Top 25 Toughest Ironman Course Rankings; you'll note that Japan 2013 is a much tougher race than in 2009.